This is a disturbing story on how Brian Williams, an anchor man on NBC misled the American people when he falsely reported that his helicopter was shot at while he was in Iraq. This article on the attached website is from a psychiatrist’s view of what he thinks of the situation. Of course the next question is what else has he lied about? This is a person who is viewed by millions of people every day and to be so irresponsible in the information he puts out should be a crime. People like this in the media carry a lot of influence and must be held accountable for their actions. 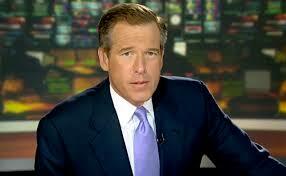 The article goes on discussing the psychiatrist’s analysis on why he thinks Brian Williams did it. The psychiatrist main point is that Mr. Williams wanted to be a part of something big that he could only dream of, but probably never experience. These people all lie. Like the endless barrage of anti-black, anti-muslim, anti-women messages we see on television are any different.